Mid-century defines both an era and a style, and this home captures both. People don’t usually connect beauty with “understated.” In this case, I can’t think of any two words more connected to a home. 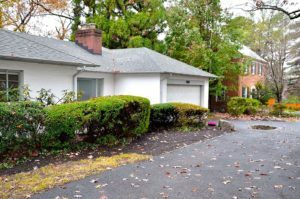 This 1500 sf, 3-bedroom, 2.5-bath, 2-car garage house sits on roughly 1/3 landscaped acre with mature foliage. With a substantial fireplace in the living room, what could be more perfect for those chilly nights? Add martinis or eggnog and finish the evening with Chet Baker playing. I’m not suggesting the Rat Pack lived here, only that they may have had friends who did. 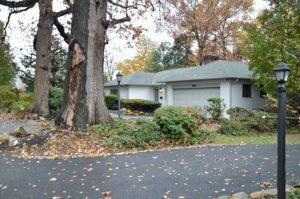 This home was built in the ’50s, when craftsmanship and attention to detail were the norm. Of course, they had better material to work with. At the time, I doubt the builders or craftsmen knew their work would be held in such high regard decades later. 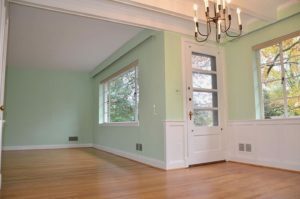 The proportions of this house are great and, at no risk of hyperbole, the hardwood floors are made pristine with the help of master floor finisher Matthew Hoey. Matthew can be reached at 443-416-0200. Click this link to see the full listing. You have to see these floors in person. 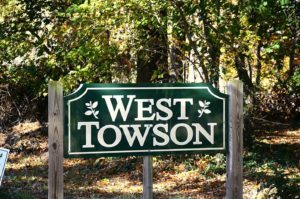 With a bucolic backyard, this home sits on 1/3 acre of mature foliage, almost equidistant between I-83 and downtown Towson.